The Chameleon® 4×4 EX is an ATEX compliant all stainless steel industrial UV fly trap. It is suitable for use in potentially explosive atmospheres in ATEX zone 22 classified areas. Its IP65 rating also allows installation in damp, dusty or corrosive environments. 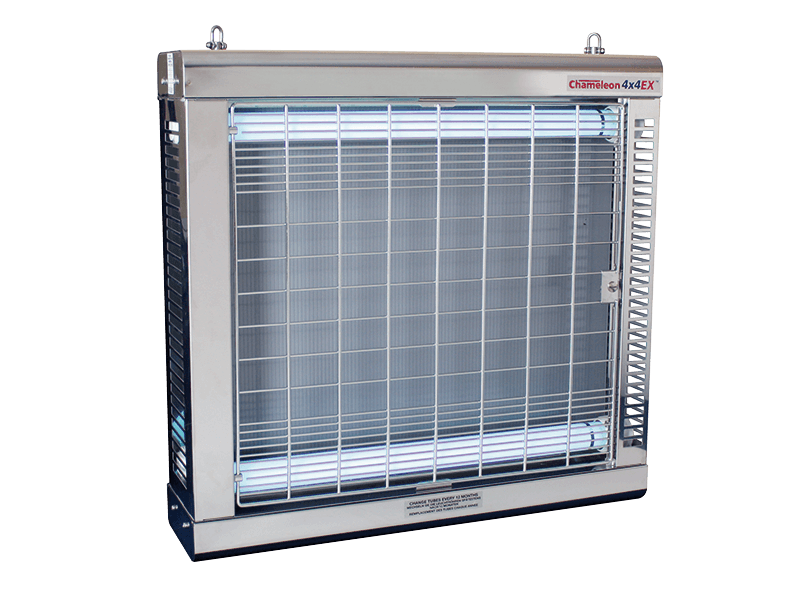 This powerful unit covers large industrial areas trapping even the smallest insects on its double-sided board.